The Dow Jones Industrial Average rose 216 points this morning as solid earnings numbers from Goldman Sachs Group Inc. (NYSE: GS) pushed the major indexes higher. The investment bank reported earnings per share of $6.28, a figure that crushed expectations by $0.90. The firm said its annual-today return on equity hit its highest level in nine years. Morgan Stanley (NYSE: MS) also topped earnings expectations. Expect markets to rise today as strong financial gains fuel the market's recovery. Investors continue to monitor developments out of Turkey and the disappearance of journalist Jam Khashoggi. Leaders of several European banks have pulled out of a conference in Saudi Arabia, and the country prepared a report indicating that the journalist was killed during an interrogation that went wrong. The "Davos in the Desert" conference has seen JPMorgan Chase & Co. (NYSE: JPM) CEO Jamie Dimon, Ford Motor Co. (NYSE: F) Executive Chair Bill Ford and Uber CEO Dara Khosrowshahi all withdraw from the event. Oil prices were falling this morning on expectations that U.S. shale production and inventory levels will rise. WTI crude slipped 0.5% to hit $71.40 per barrel, while Brent crude fell to $80.35 after a 0.5% decline. Oil from the top seven U.S. shale basins is expected to increase by 98,000 barrels per day in November and hit a record 7.71 million barrels per day. Markets did find support, however, from news that Iranian exports came in at 1.5 million barrels per day during the first two weeks of October. That figure is down about 1 million barrels from April output. Today, I'd like to introduce you to the most talented person I've ever met in finance. This opportunity might never come around again. 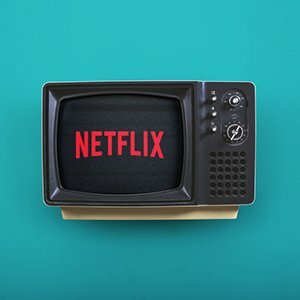 Netflix Inc. (NASDAQ: NFLX) will report earnings after the bell on Tuesday. Markets are hoping that the streaming giant will be able to rebound after a poor second quarter. During the last earnings report, subscription growth came in about 1 million fewer users than analysts had expected. Analysts expect that the company added about 5 million new subscribers during the third quarter. In deal news, shares of cloud communications firm SendGrid Inc. (NYSE: SEND) popped more than 11% on news that the company will be purchased by Twilio Inc. (NYSE: TWLO). The companies announced an all-stock deal worth roughly $2 billion. Walmart Inc. (NYSE: WMT) stock was up in pre-market hours despite news that executives cut their full-year earnings outlook by $0.25 per share. The firm said that the revision reflects the impact of its purchase of Indian retail giant Flipkart.